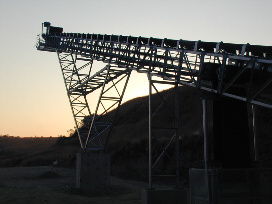 North Shore Projects specializes in the design and manufactures of special purpose equipment from hydraulic concrete vibrators attached to Bobcats, mobile hydraulic bulk solid container loading conveyors, mining headgear, shaft sinking and surface drill-rigs to sophisticated mechanical robotic systems. North Shore designed a surface drill-rig that held the record for the deepest gold prospecting slime hole drilled at 4727 m.
North Shore Projects has designed, built and erected many structural steel buildings and warehouses as well as complete site layout, concrete and earthwork. 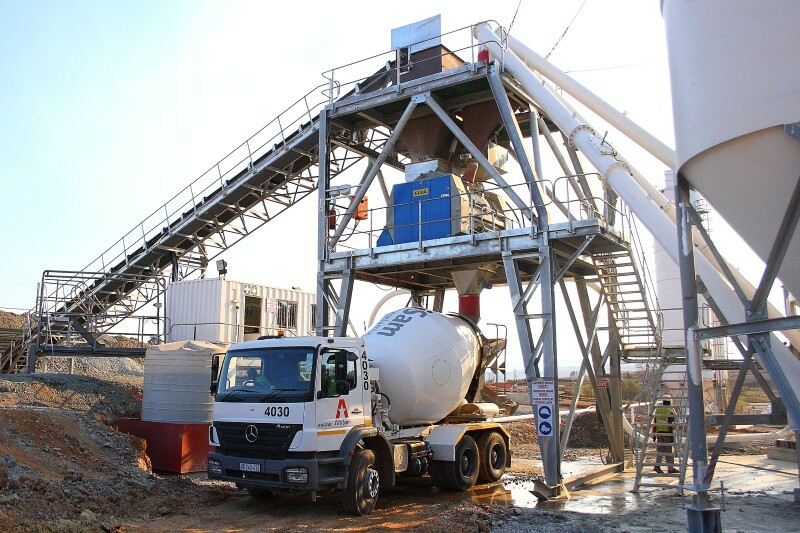 Some of our warehouses are equipped with OHC's spanning over 40 m.
North Shore Projects has designed and manufactured numerous free standing silos and bins ranging from 5 to 500 m3. 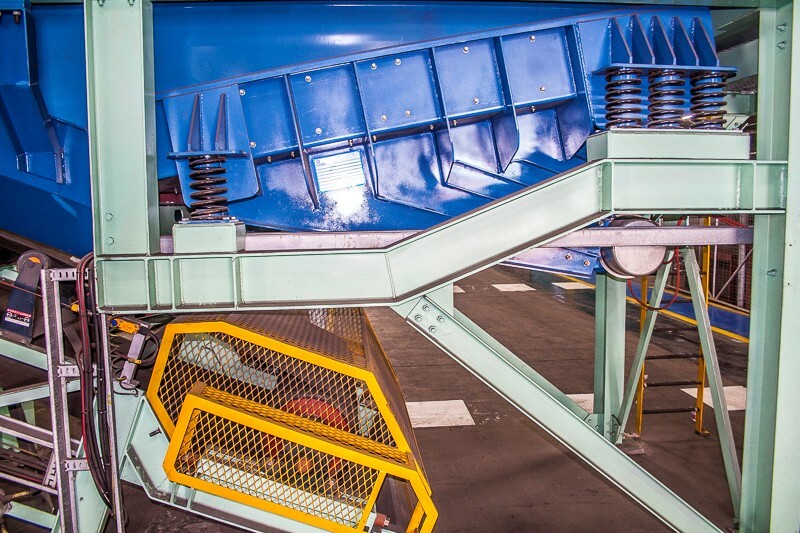 Primary and secondary crusher feed bins and feeders, chutes of all shapes and sizes for many diffeChutes, Silos and Binsrent clients, from pneumatic retractable chutes to crusher and screen feed and discharge chutes. 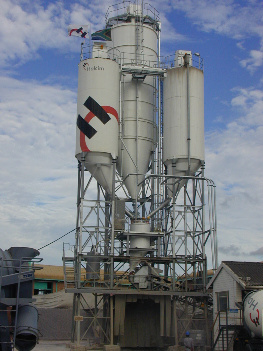 North Shore Projects has designed various fixed and mobile wet and dry concrete batch plants from 50 to 250 m3 per hour. 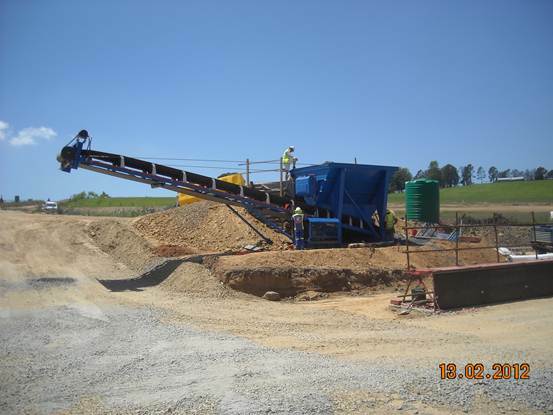 The plants are completely built in South Africa with the option of various mixers allowing numerous configurations and capacities. 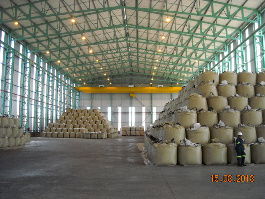 These re-cycle plants are available in a number of sizes and can re-cycle from five to thirty cubic meters per hour. The system utilizes a rolling action and wet separation of the fines in contrast to a high wear, sliding and scraping process.